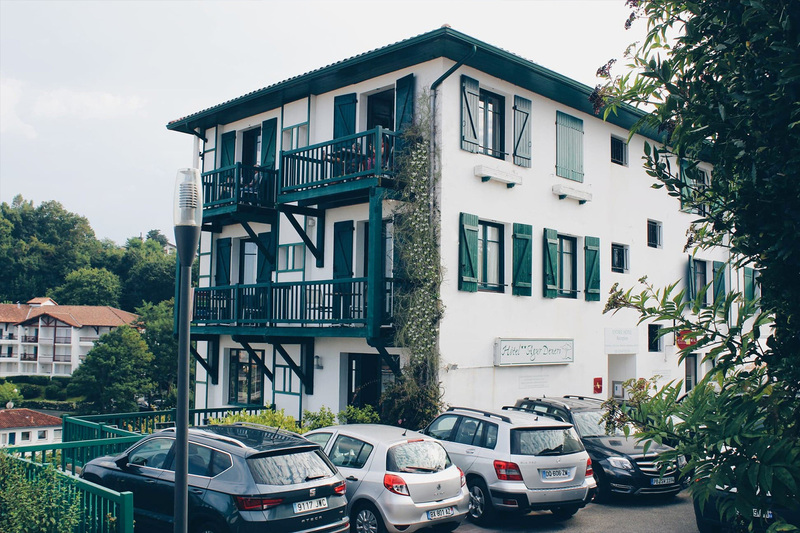 On the Basque Coast, dominating the beautiful beach of Saint-Jean-de-Luz, in an unique, peaceful site, nested to the hillside of Bordagain, the Hotel Agur Deneri offers a panoramic view on the bay and the fishing port. From the very high patio or balconies, you can see the ocean dancing to the rhythm of the tides. The charm, the calm and the serenity are united to the wonder. Inspired from their basques origins and from the beauty of the place, Véronique and Xalbat have created a relaxing atmosphere to receive their guests. 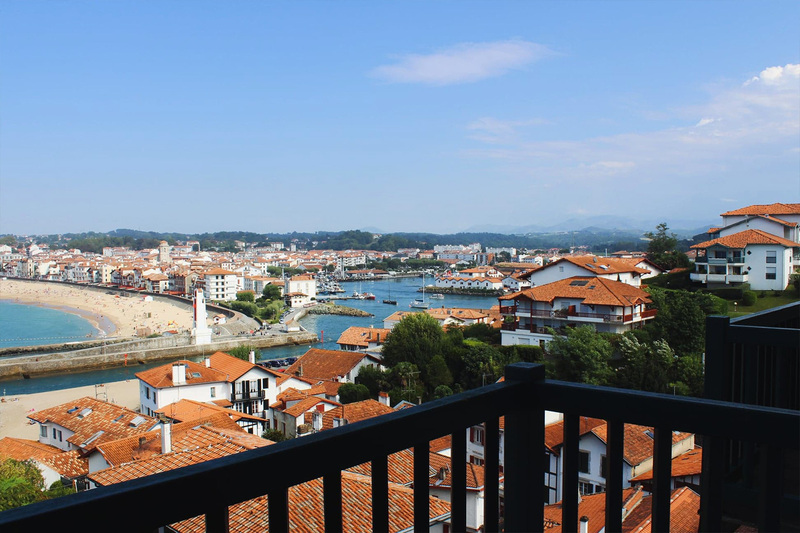 Let yourself be transported by the energies of the Basque Country, breath the sea spray in a charming house, with contemporary and refine furniture. Concerning comfort : the peace, the panorama on sea and mountain, the air-conditioned rooms and the breakfasts in the dining room with a view on the bay; balneotherapies bathtubs, patios, balconies, the south-facing garden and its relaxing area. 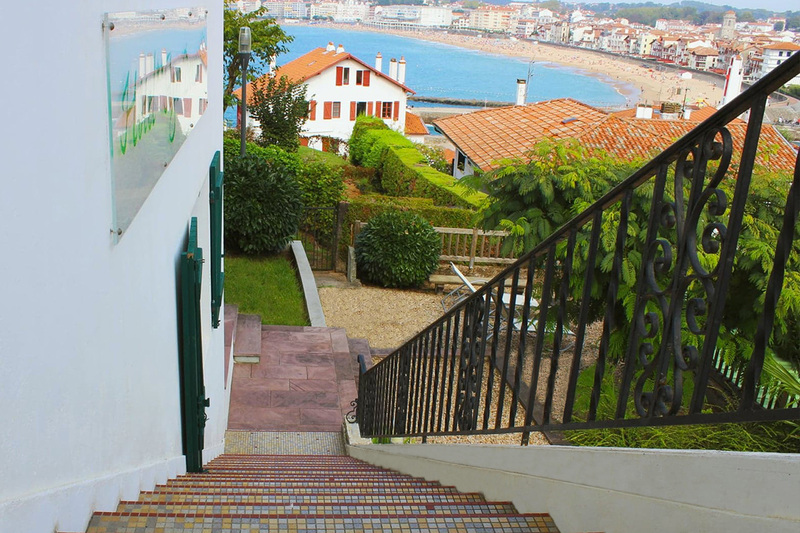 Practicality : private parking, free wifi in the hotel, nearby beaches, sailing clubs from the Socoa Fort and city centers of Ciboure & Saint-Jean-de-Luz. We will be please to share with you our love of the Basque Coast.